Four-star hotel «Regal Palace Samarkand» offers you 63 rooms of various categories including 4 luxury suites, 56 superior double rooms and 3 standard single rooms. We have 2 restaurants with a capacity of 80 to 120 persons, 2 conference rooms posteriors from 40 to 100 people and a courtyard for luxurious banquets for 250 people. Fitness center "Olympia" with the art equipment from European manufacturers.Indoor swimming pool "Spa Olympia" made at the European level.T he Turkish bath was built by Turkish construction masters on the XV century drawings, as well as the Finnish sauna is equipped with everything which you need. Hotel rooms are wel-appointed with Italian furniture, long curtains, each room features a bed with orthopedic mattress, bright rugs, satellite TV with international channels, kettle, mini-bar, air conditioning and heating systems, all types of Internet access and the ability to connect any electronic equipment. Breakfast is available in the bright restaurant on the ground floor of the hotel which offers dishes of European and Uzbek cuisine. Drinks are available at the lobby bar. 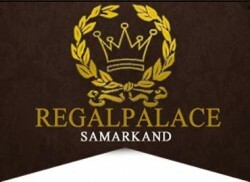 The four-star Regal Palace Samarkand is located just 5 minutes away from Samarkand International Airport and 7 minutes by car from the center of the city of Samarkand where you can find the world's most renowned Registan Square and other unique attractions and landmarks of history and culture of Central Asia. The hotel has round the clock service Room Service, provided the equipment for people with disabilities and non-smoking. Guests: mineral water, cosmetics and bath accessories. The concierge can arrange excursions, tickets to museums and theaters, as well as railway and air tickets. Provides transportation services (car with driver, motor vehicles to the train station to the city center), there is also a guarded parking. Street: 1, Vohid Abdullo str.